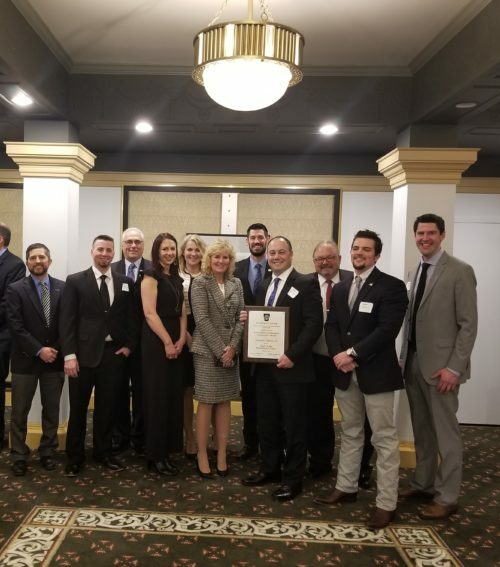 On Feb. 23, the Pittsburgh Chapter of the Pennsylvania Society of Professional Engineers presented the Liberty Bridge Rehabilitation Project with the Outstanding Engineering Achievement Award. As a subconsultant, JMT provided structural engineering support to this project. The 2,663-foot, 16-span, four-lane Liberty Bridge rehabilitation included superstructure and stringer replacements, precast and cast-in-place exodermic grid layer, deck latex-modified concrete on northern ramps, rapid-set latex concrete on mainline, steel repairs, and three-coat painting of the full structure.